‘C’ Grade Italian Marble (The best Italy has to offer). There is no better marble. 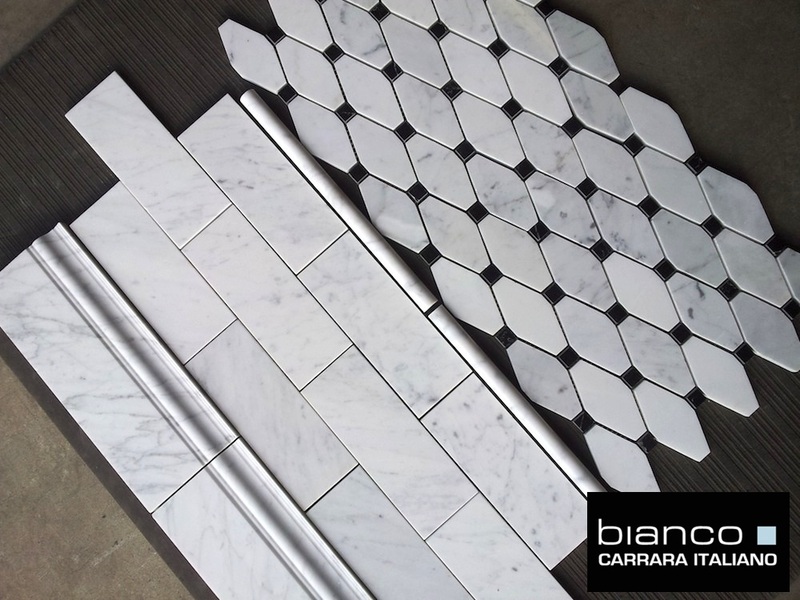 When we bring in ‘C’ grade Italian marble we bring in the very best! Unlike other retailers that have to buy through an elaborate supply chain adding 100% markups as it is passed from importer to distributor to sub-distributor and then to a retailer. thebuilderdepot.com goes direct to Italy. From Italy we buy volume (especially when the mountain is yielding such high quality stone). 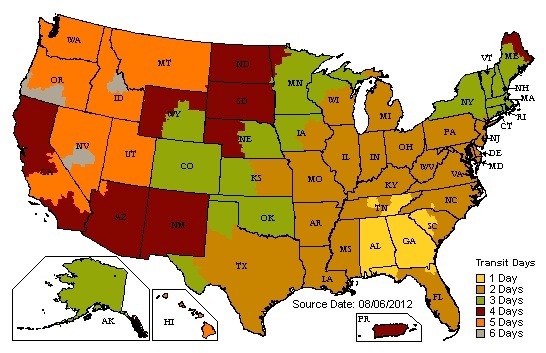 We buy more than any other retailer or wholesaler in North America. 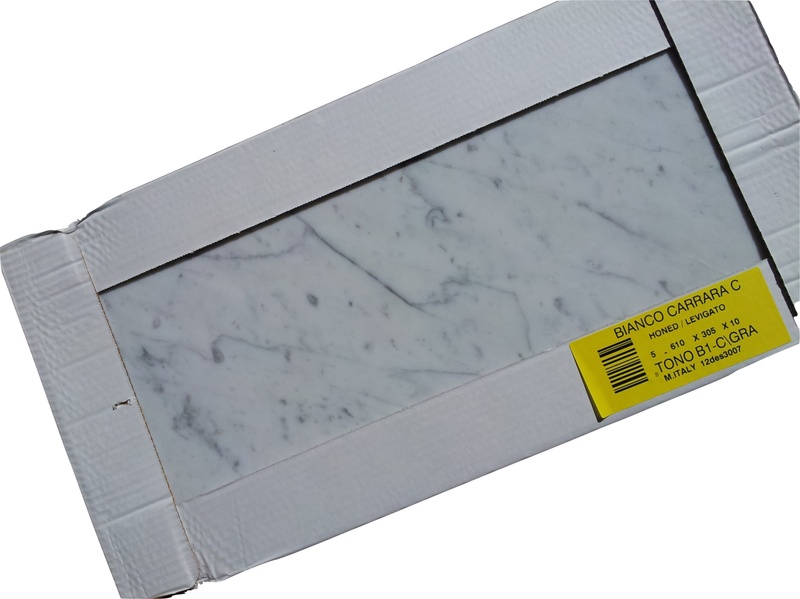 It is these economies of scale and a no frills business and marketing strategy that allow us to sell ‘C’ grade Italian Carrara 12×24″ tiles for just $12.50SF. There is always cheaper. For example you can get a lower grade product or you can buy from Turkey. There is always someone selling a lower grade product for less. Reducing the quality and competing on price is not for us. At thebuilderdepot.com we aim to sell premium products. 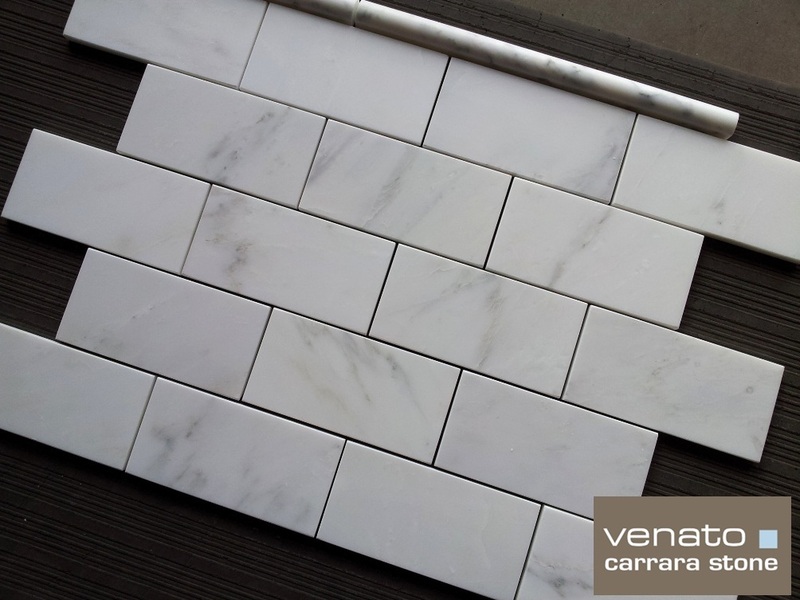 Our 12×24″ Carrara ‘C’ grade sells for $40 to $50SF at high end tile and stone retailers. We take that very same product and sell it for $12.50SF. How? We remove all the marketing costs, retail showroom costs, supply chain markup costs and pretty much every other possible cost apart from quality of product. We want our customers to have the best quality for the best possible price. New shipment arrived October 10th. While there wasn’t any new products there was much needed inventory. Backorders are now shipping and customers who are planning ahead for Thanksgiving can take a sigh of relief. The Long Octagon is finally back in stock. 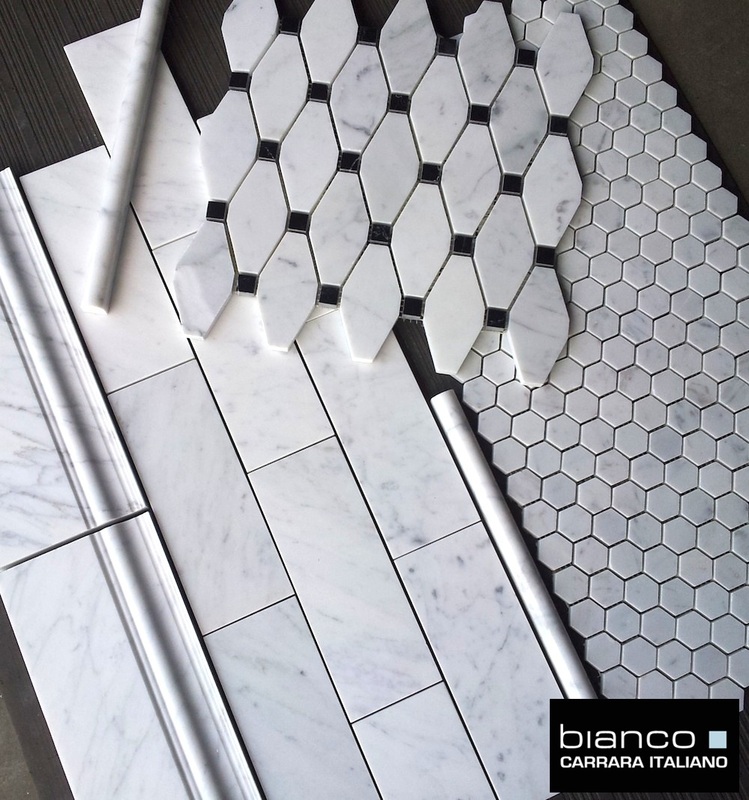 Black and white mosaics have been dominated by the classic Basketweave design. 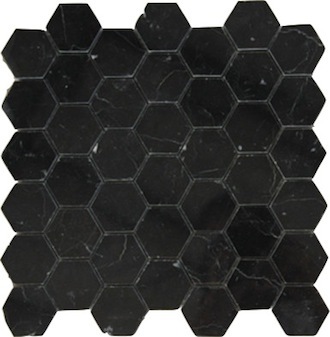 The Long Octagon or called Stella design by some is now back in stock in both Honed and Polished and seeks to unseat Basketweave from the #1 spot as most popular B&W mosaic design. 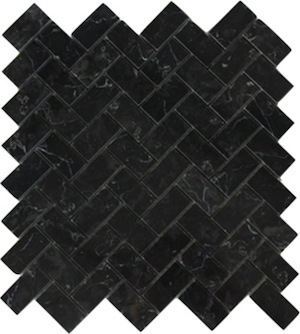 While the price of the Long Octagon is $2 a square foot more than Basketweave I think that having a product that is so elegant and less common is definitely a consideration. You can get a complete quote online by entering the quantity required into the shopping cart then clicking “checkout” or email us for a quote sales@thebuilderdepot.com. 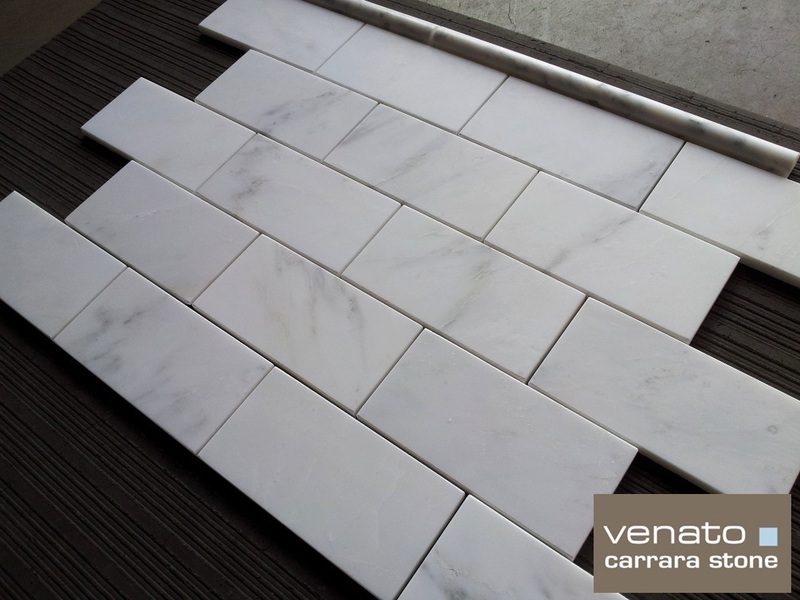 New shipment of Carrara Venato 3×6″ honed arrived at the of last week. This lighter lot has perfect veining. 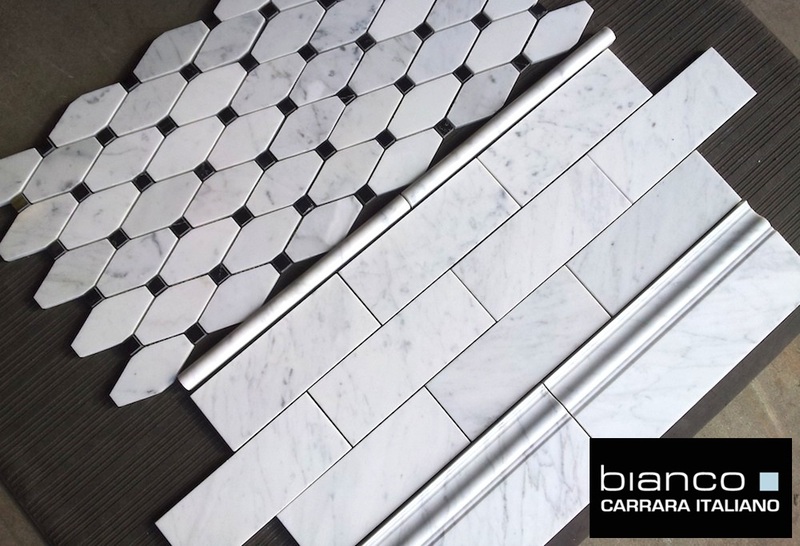 50% of the tiles are plain white creating an overall whiter appearance. The Carrara is shipped in receiving order, so technically this lighter product will not ship until December/January next year and samples for it will not be going out either as we will ship our current inventory from prior containers first. 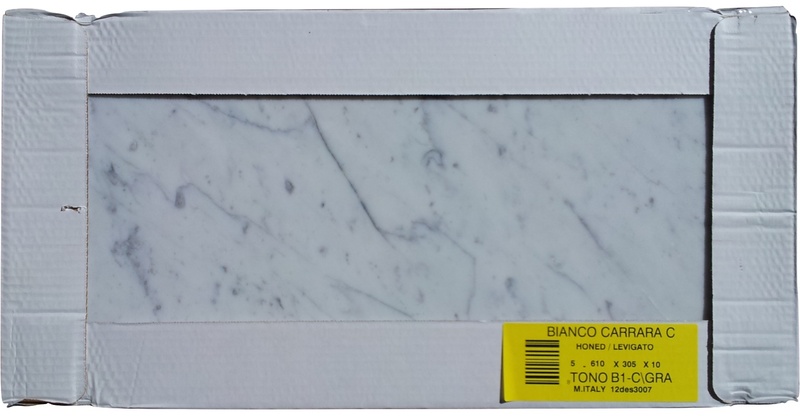 However if you have a particular interest in this lighter looking Carrara Venato 3×6″ you can email us sales@thebuilderdepot.com, reference the bog and we can send out samples from this batch. Is black the new white? Probably not. But they certainly look nice on the white background of our blog. They would probably look a little overwhelming on a bathroom floor to say the least. I do like the black marble for borders and edges. Particularly where a Basketweave or Octagon has been used in a rug format or mosaic insert on the wall. Then using 1×4″ sticks to border the insert looks impressive and clean, a picture frame out of black marble. This map covers two shipping methods. The UPS ground shipping time in transit days (this does not include the day of pick up). It also gives a rough ETA for the timing of a freight shipment. For example. You are in Texas, you place an order for 40SF+ (which is the size of a freight shipment or LTL) and you place the order on Monday, we could ship Tuesday or Wednesday (we ship in 24/48 hours) then two days after that you can expect a phone call from the freight company saying “we have your shipment in our local Texas terminal, when would be a good day to deliver”. We cannot be exact on the delivery day of a freight shipment as you the customer has some control over the timing. There you go as clear as mud. Any questions please let us know shipping@thebuilderdepot.com.